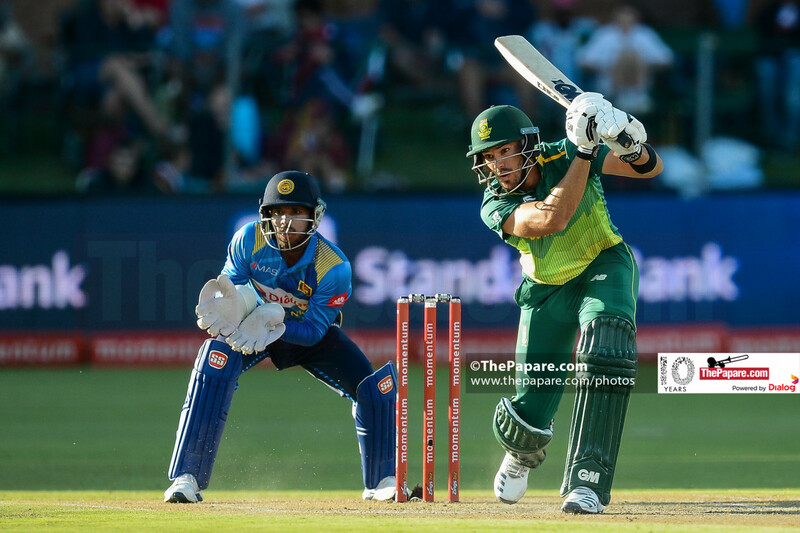 Sri Lanka will face South Africa in the 2nd of a 3-match T20I series at Super Sport Park, Centurion, tomorrow, 22nd March. After a low-scoring thriller that South Africa won thanks to a 5-run super-over by Imran Tahir in Newlands, Cape Town earlier this week, the hosts lead the series 1-0. Picture this, 4 overs to go, South Africa need 18 to win, Rassie van de Dussen (34) and David Miller (39) at the crease – 9 times out of 10, no, 10 times out of 10, you expect to see the men in green walk away with the win. They did, eventually, but not before an almighty choke. Lasith Malinga, the man Sri Lanka desperately needed to fire, did the business for the visitors, going for 3 runs in total in the 17th & 19th overs while picking up the wickets of Miller, van der Dussen and Rabada. There is no doubt that he’s past his prime, but he is still perhaps Sri Lanka’s only out and out match winner. Isuru Udana wasn’t too far behind his captain and the pair combined to force a super over – one which South Africa eventually got the better of, with Imran Tahir conceding just 5 runs- with Sri Lanka needing 15 to win. The tactic to send debutant Avishka Fernando out to face the super over alongside Thisara Perera was baffling, but considering Sri Lanka’s record against Tahir, it is hard to imagine that anyone else would have done significantly better. Choke or no choke, South Africa had the result go their way and go into Centurion 1-0 up, with a chance to seal the series and their limited overs dominance over the Lions. When Isuru Udana made his debut at the World T20 in 2009, he bowled more slower balls than seam up deliveries. With time he has learned to use the variations with more control and thanks to his batting exploits as well, looks like one of the front-runners to partner Lasith Malinga with the new ball at the World Cup. For much of the last decade, Udana has been considered a T20 specialist, but the maturity he’s shown with both bat and ball during this tour will give him a leg up when the selectors look to picking that final 15-man squad that’s set to travel to the UK and the left armer will definitely look to build on it in the next two games. While Udana is playing himself into Sri Lanka’s plans for the World Cup, Sri Lanka’s vice captain Niroshan Dickwella may just be playing himself out of contention. 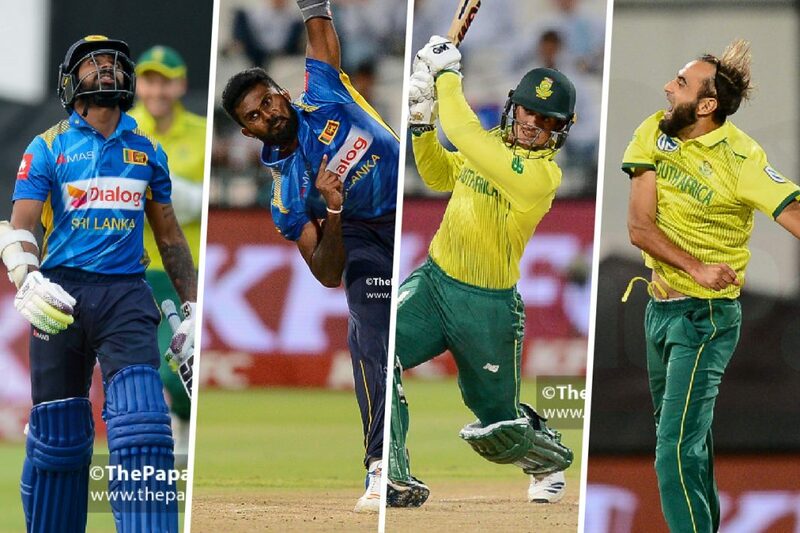 The wicketkeeper batsman has been accused of throwing his wicket away too cheaply and with the mishap behind the stumps in the last game, he may be on thin ice, especially considering the fact that the Lankans have a variety of options when it comes to both openers and wicketkeepers. Chief Selector Asantha de Mel has made it clear that nobody of assured of a spot at the World Cup and Dickwella will be desperate to get some runs under his belt as the deadline for the squad announcement nears. 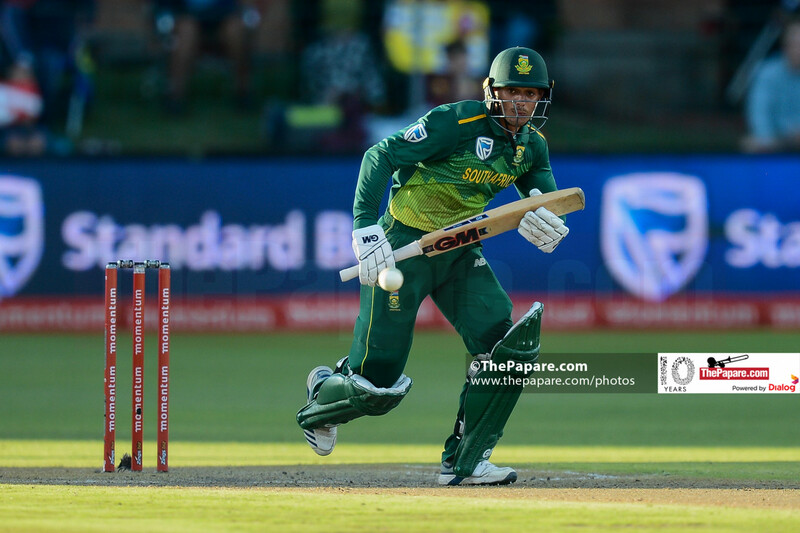 Like Dickwella, Reeza Hendricks is a man who could be playing his way out of World Cup contention – considering South Africa’s options, he may have already done so already, with a poor showing in the ODIs. Hendricks will have have to do something really special in the next two games (provided he’s preferred ahead of Aiden Markram) if he’s to push his case for the World Cup. David ‘Killer’ Miller, had had a relatively quiet tour before the 1st T20I, by his standards. The left hander looked like he would take South Africa to an easy win on Tuesday, when he smashed Isuru Udana for 20 runs in the hosts chase. His dismissal triggered a slide but he eventually made up for it, scoring 13 off Malinga in the super over. 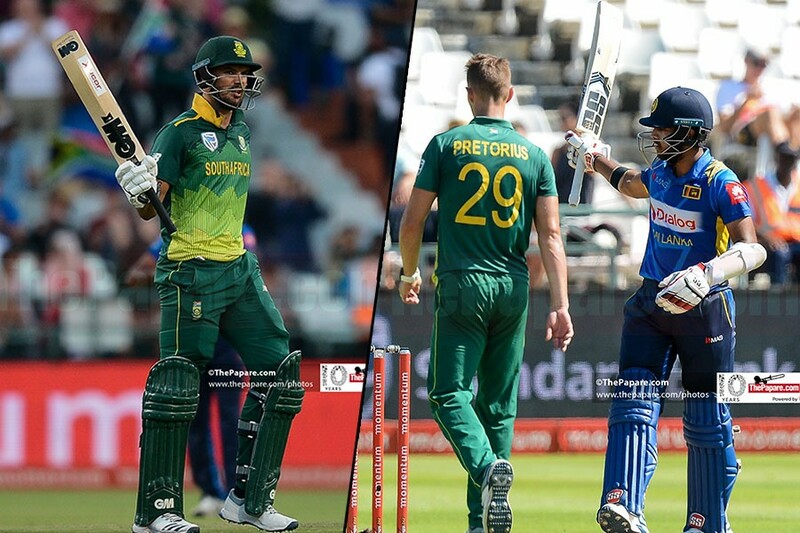 He also kept wickets for the hosts – adding a new dimension to his role with the Proteas. Sri Lanka may be forced to make one change to the XI, with Jefferey Vandersay likely to miss out due to an injury he sustained to his left hand in the 1st game. South Africa could opt to give Aiden Markram a run, with these two games being their last internationals before the World Cup. They will see a few changes to their line-up with the likes of Faf du Plessis, Quinton de Kock, Kagiso Rabada and Imran Tahir being rested. Sri Lanka did considerably better with the ball than they had done in the ODIs and they are sure to draw confidence from the death bowling in particular. The batting left much to be desired however and they will know that if they are to do well consistently in colored clothing, they will have to get their act together with the bat.